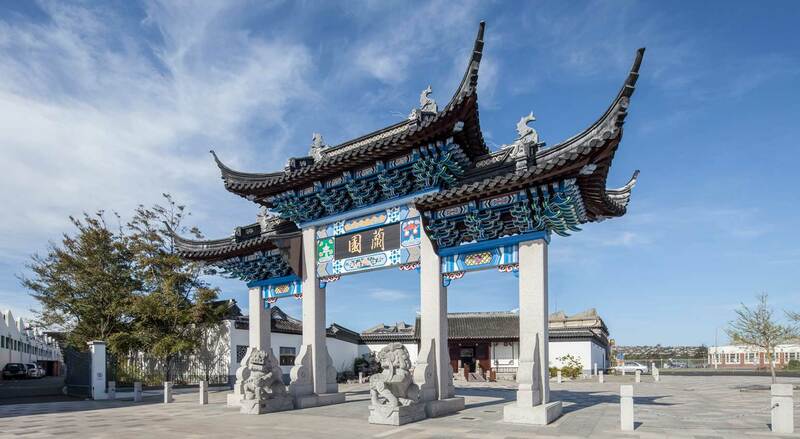 The Dunedin Chinese Garden is on the corner of Rattray and Cumberland Streets, opposite Queens Gardens and beside the Toitū Otago Settlers Museum. 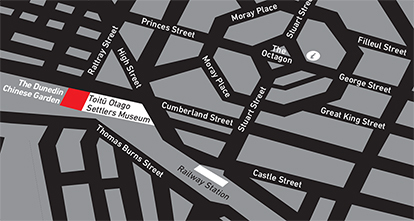 It is within easy walking distance of the Octagon and the Dunedin Railway Station. The Garden has a free car park and there is on-street parking along all the streets in the area, some paid, some free. Bus parking is also available in front of the Toitū Otago Settlers Museum.